The development of soft tissue cervicofacial emphysema after dental treatment is a rare complication, with few descriptions in the dermatologic literature. It is usually restricted to only moderate local swelling. 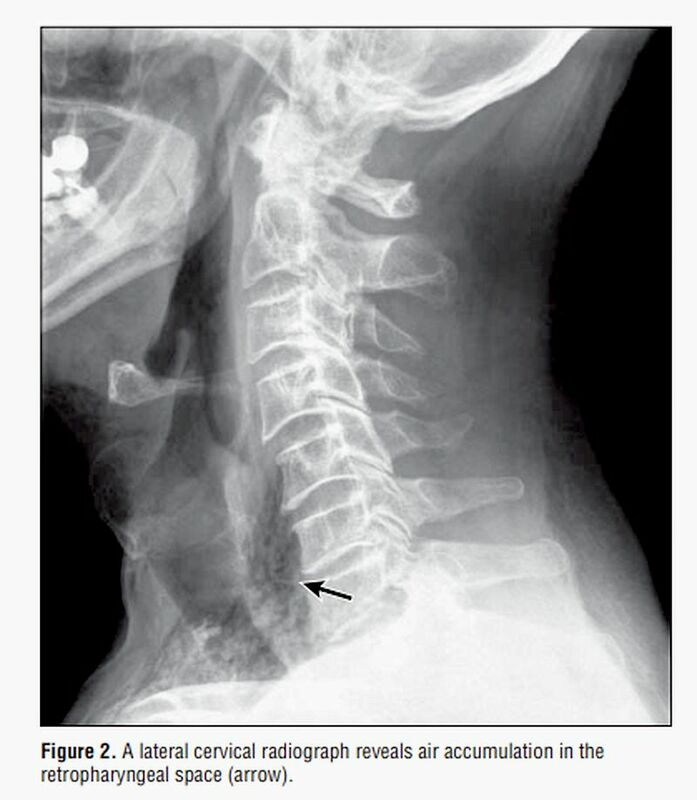 However, spread of larger amounts of air into deeper spaces may sometimes cause serious complications, including airway compromise due to accumulation of air in the retropharyngeal space, pneumomediastinum, and pneumopericardium. Fatal air embolism and soft tissue infections through dissemination of oral flora microorganisms along the emphysematous tracts have also been described. Therefore, early recognition is important, but the unfamiliarity of dermatologists with this condition often causes diagnostic problems. Important differential diagnoses include angioedema, soft tissue infections, and hematoma. Report of 2 Cases With Emphasis on the Differential Diagnosis of Angioedema.